Pope Benedict XVI’s Apostolic Exhortation after the XII Ordinary General Assembly of the Synod of Bishops on the Word of God (held from 5 to 26 October 2008) was published on 30 September 2010. 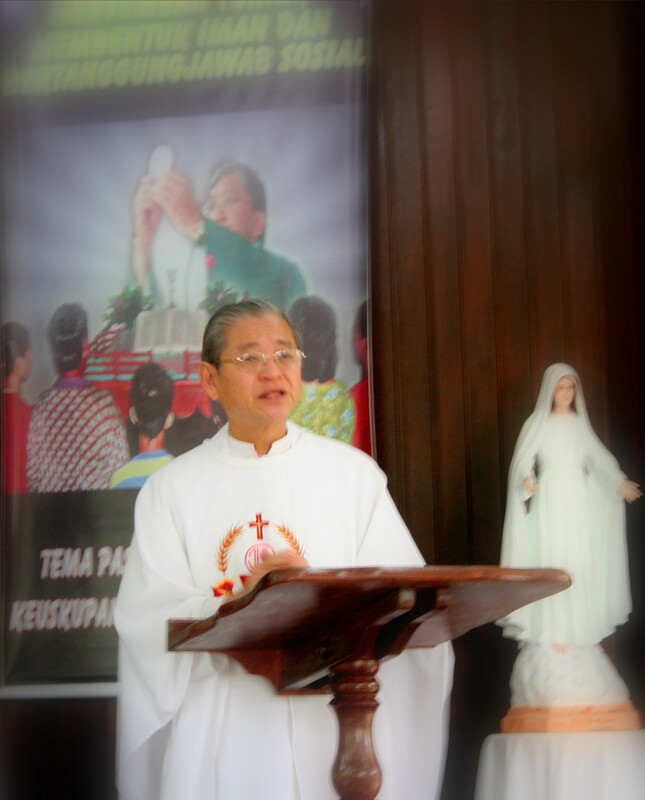 Entitled Verbum Domini (The Word of the Lord) it gives a theology of the Word of God and goes into the relevance and importance of the Word for the Church’s life and ministry and for her mission to the world as well. At its meeting in February this year, the Regional Biblical Commission (RBC) decided to dedicate the annual Bible Sunday message to this document. Because of its richness, the RBC would spread its coverage of the document over the next few years. The Post-Synodal Exhortation Verbum Domini was published in continuity with two other documents: Sacramentum Caritatis and Dei Verbum. The former is Pope Benedict’s Exhortation after the XI Synod of Bishops – the Synod on “The Eucharist as the Source and Summit of the Church’s Life and Mission.” The Pope affirms the continuity between the two Synods, since Word and Eucharist are inseparable foundations of the Church and lie at the very heart of the Christian life. Dei Verbum, that is, the Dogmatic Constitution on Divine Revelation, is one of the sixteen documents of the Second Vatican Council which took place over three years – from 1962 to 1965. This document gives the Church’s teaching on the Word of God. The Pope sees it as the culmination of a “crescendo of interventions” by the Church’s Magisterium “aimed at an increased awareness of the importance of the word of God and the study of the Bible in the life of the Church” (VD 3). Between its Introduction and Conclusion, the Post-Synodal Exhortation, Verbum Domini. has three parts: 1. “Verbum Dei” (Word of God); 2. “Verbum in Ecclesia” (The Word in the Church); 3. “Verbum Mundo” (The Word to/for the World). The Exhortation affirms and explores the manifold aspect of the Word of God. For this year’s Bible Sunday, our message chooses to touch on the plurality of meanings of the word of God, all held together in unity by the Word of God. This word of God comes to all humankind because God in His infinite love wants to dialogue with them to invite them to share in His life and love. In striking this dialogue with humankind, the eternal God “condescended” to the level of finite humankind. As revealed in the Prologue of John’s Gospel (Jn. 1:1-18), God’s condescension reached its depth in the incarnation. The eternal Word of God took on human flesh and dwelt in the midst of all humankind. The Word of God made man is Jesus Christ, “born of woman” (Gal. 4:4) and the woman was the Blessed Virgin Mary. The whole purpose of the incarnation was to enable man to grasp God’s Word who “became small enough to fit into a manger; He became a child, so that the word could be grasped by us” (VD 12). Jesus Christ the Word of God holds all the various meanings of the word of God reflected in creation and history. Prior to the incarnation, all creation came into being through the eternal Word of God. It was through Him that “all things were created; and without Him was not anything made that was made” (Jn. 1:3). This is presented in the story of creation in Gen. 1. Indeed, then, creation truly speaks God’s word. Following creation, history also became a way in which God communicated with humankind. God did this because of the unique and singular position occupied by man in creation, which was founded on the fact that God had created him in His own image and likeness (Gen. 1:27). Man was gifted with reason, freedom and conscience. From this reality flows an important corollary: man is guided by the natural law which is written on his heart (cf. Rom. 2:15; 7:23). Natural law then is also a form of God’s word. It finds its fulfillment by the law of the Gospel given by Jesus Christ. God’s image and likeness in human beings enable them to encounter Him in history. Two historical events are singled out here: (i) God’s covenant with Abraham; and (ii) His covenant with the race of Israel (Abraham’s descendants) mediated through Moses. Events in history were a learning experience for Israel. Through them, they discovered God dealing with them and through them with the entire humankind. In these historical events, God communicated with them and invited them into a relationship with Him. In this relationship He made them His own people and chose to be their God. In order to help His people understand more fully and more clearly His communication of love with them through events in history, God gave them prophets. These were God’s “spokesmen”, bearers of God’s word to His people. Prophetic messages were human but inspired expressions of God’s word calling the people back to covenantal relationship with Him. They explain the meaning of creation and history as forms of God’s word. They couch the word of God in human language. The Old Testament provides ample evidence of God’s word communicated through creation, event (history) and human words. But all these different expressions of God’s word are incomplete in themselves. They find their full meaning only in Jesus Christ, the eternal Word of God made flesh. The incarnate Word is “an unprecedented and humanly inconceivable novelty”, “the definitive word which God speaks to humanity” (VD 11). He is the force of unity of all the various forms of expressions or meanings of God’s word. “In a perfect way, He hears, embodies and communicates to us the word of God” (VD 12). Jesus, the incarnate Word of God, exhausted His communication with humankind at His death on the Cross. There, He held nothing of what it [He] had to tell us”. There He was “revealed as the word of the new and everlasting covenant” (DV 12) and accomplished our definitive salvation. 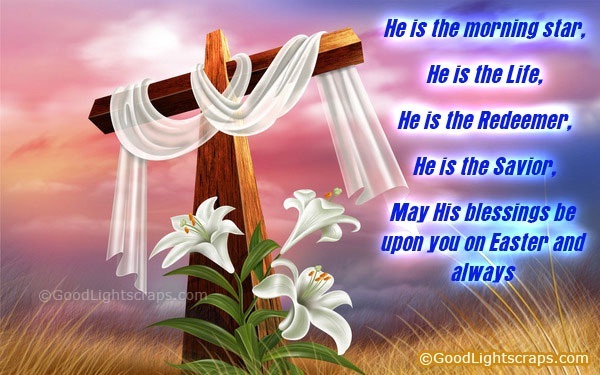 Following His death on the Cross, Jesus rose from the dead. This was His victory over death. His resurrection “took place through the creative power of the word of God” (DV 13). With it, a new creation now came about. Christ’s death on the Cross and His resurrection on the third day took place “in accordance with the Scriptures”. This means that Christ, the incarnate, crucified and risen Word of God fulfills all Scriptures and embraces all the different meanings of the word of God. This also means God’s plan of salvation for all humankind came to be fulfilled by Jesus Christ. The Scriptures reveal that in the fulfilment of the divine plan of salvation, the Holy Spirit was at work. Indeed the Holy Spirit was present in salvation history and in the life of Jesus – from His conception to His death (DV 15). In fact, it is thanks to the Holy Spirit that the word of God is expressed in human words. For He inspired sacred authors to commit the word of God to writing. Upon His resurrection, Christ sent the Holy Spirit upon His apostles gathered in prayer with Mary on the day of Pentecost. As a result of this outpouring of the Spirit on them, these apostles were empowered to carry out the mission Christ had given them to preach the good news of God’s kingdom. Faithful to their Lord and Master, they proclaimed what they themselves had received from the teachings and works of Christ, and indeed from His way of life. Through the prompting of the Holy Spirit, they also proclaimed what they had come to understand of all that they had received from Christ. By the power of the Holy Spirit, the apostles handed on all these realities that they had received by their oral preaching, by their example and by their ordinances. What they passed on gave birth to what we call Tradition of the Church. This Tradition of apostolic origin lives on by the power of the Holy Spirit. It is “essential for enabling the Church to grow through time in the understanding of the truth revealed in the Scriptures” (VD 17). The Constitution on Divine Revelation affirms, “By means of the same Tradition, the full canon of the sacred books is known to the Church and the holy Scriptures themselves are more thoroughly understood and constantly made effective in the Church” (DV 8). The Apostolic Exhortation goes on to stress the importance of properly teaching and training the People of God “to approach the sacred Scriptures in relation to the Church’s living Tradition and to recognize in them the very word of God” (VD 18). The word of God takes on different forms of expression in the sacred Scriptures. But in the final analysis God speaks only one single Word in Jesus Christ. In Him God reveals Himself fully to all humankind. In Him God invites every human person to communion with Himself. In Him, therefore, it is possible for every human person to enter into communion with God and share in His life. Today, the Church continues His mission of proclaiming the Word of God to all humankind and inviting them to a life of communion with God and share in His life. The one Word of God was communicated in multiple forms within the grasp of all human creatures of God created in His image and likeness. He became flesh in order to break into the company of all humankind. The role of the Holy Spirit in all this must be acknowledged. In fact, today, the Word of God lives among all men through the Holy Spirit and continues to be proclaimed in and by the community of disciples of Jesus Christ the Word of God made flesh, crucified and risen. On these grounds, Verbum Domini confidently reiterates what Dei Verbum affirms: “Indeed, the word of God is given to us in sacred Scriptures as an inspired testimony to revelation; together with the Church’s living Tradition, it constitutes the supreme rule of faith” (VD 18; DV 21). The following two questions are intended to help readers to do a recapitulation of the Bible Sunday message. 1. Down through the ages God spoke one word in many words. How did He do it? 2. The one word spoken by God is not dead, but “living and active” (Heb 4:12) even to our day and until the end of time. How?